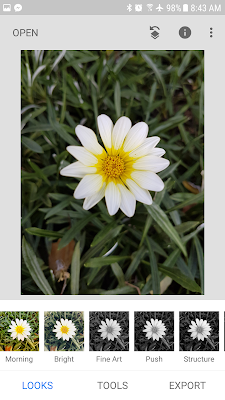 If your always edit your photos before posting it I'm sure you know snapseed, It's been six months since the last update to Google’s photo editing app but the new version is here at last, and with it comes a couple of significant changes. Snapseed 2.18 arrives with a redesigned interface which ditches the darker theme for a lighter gray variant and reorganizes the menus to make the app faster and more efficient to use. The “Styles,” “Tools,” and “Export” options now appear as tabs at the bottom of the main editing window for quick access to the app’s most important areas. 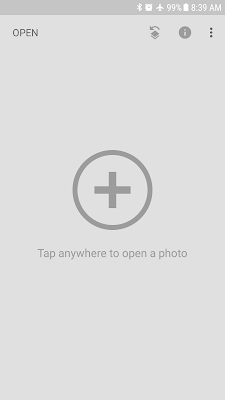 In addition to the worthwhile UI changes, Google has also introduced 11 new “handcrafted” presets (filters) to Snapseed, providing a broader range of one-tap makeovers for your snaps — and they look pretty hot. 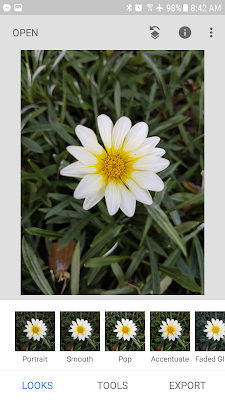 It’s a powerful tool, and if you aren’t yet a photo-editing pro, note that you can check out some tutorials in the menu at the top right of the page; they include some interesting ways to improve your pictures without much work.